Christmas Message from the “D”: Be thankful and keep building on what we’ve got. At this time of the year the Wing Centre usually writes his annual letter to Santa. This year he won’t bother. Why? Because Santa certainly seems to pay no attention at all to requests from the Glen. He probably stops off in Badenoch to pick up his reindeer from their Cairngorm summer pastures and while he was there last year he picked up Ronald Ross’s Xmas letter and since Santa can’t give everyone the same present the Glen missed out. So “ma thogair” to Santa - the Glen will just give thanks for what we actually have –teams of all ages still playing the old sport of the Gael but in particular the youngsters coming through. 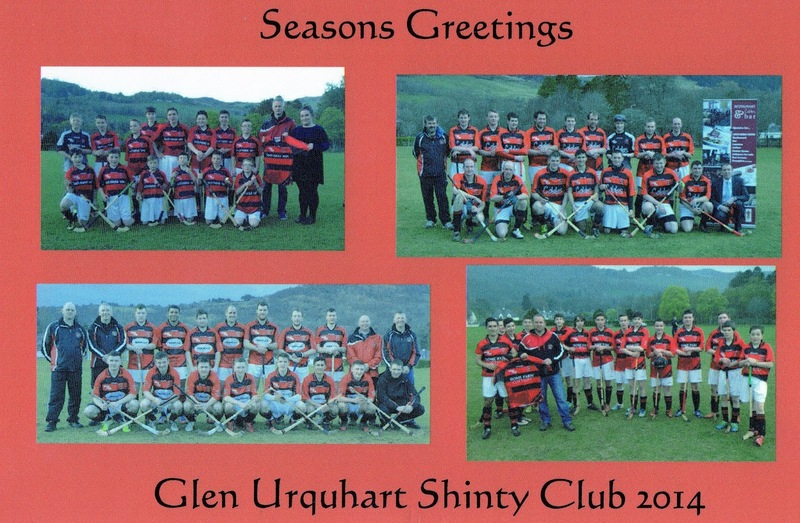 Have a wee look at this year’s Xmas Card; it contains photos of all the four main teams: the firsts, seconds, under-17s and the under-14s. Enough of the “D” has been devoted to the firsts and seconds already – and rightly so. This posting however will concentrate solely on the youngsters and their participation in a variety of competitions over the past 12 months. 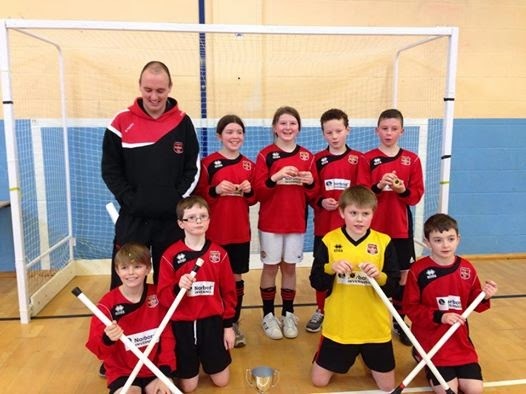 The Shinty Year started in February with the Inverness Area CC Primary indoor six a side tournament in which the Glen p6/7 side were successful enough to proceed to the North National Schools tournament at Fort William. 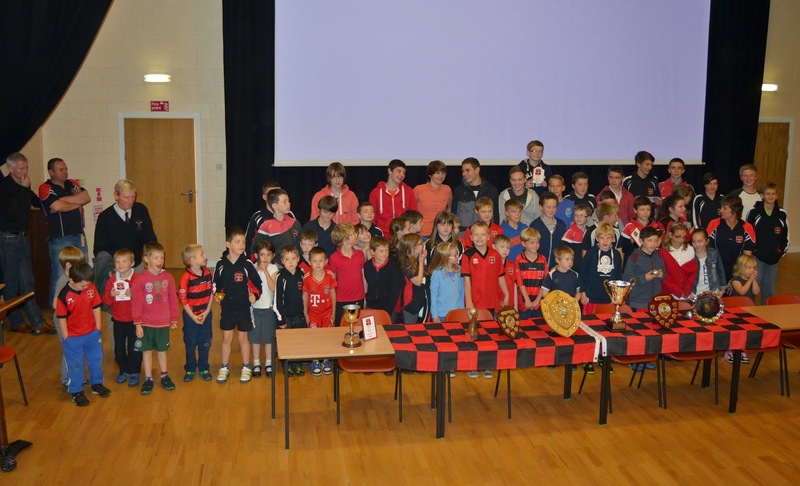 The next event on the calendar was the local Glen Albyn (six a side) tournament in March. This is confined more or less to teams from the Great Glen and the Aird area and at this time in the under 14 category Glenurquhart were victorious. 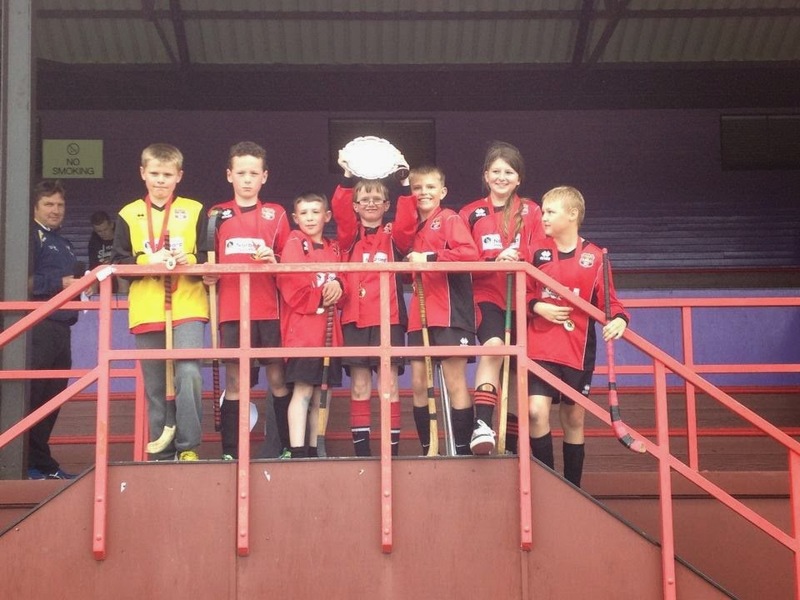 After the Easter holidays the p6/7 Glen Albyn tournament took place over two Saturdays. At this age group the Glen were able to put out two teams and at the end of the tournament the A side were the winners. 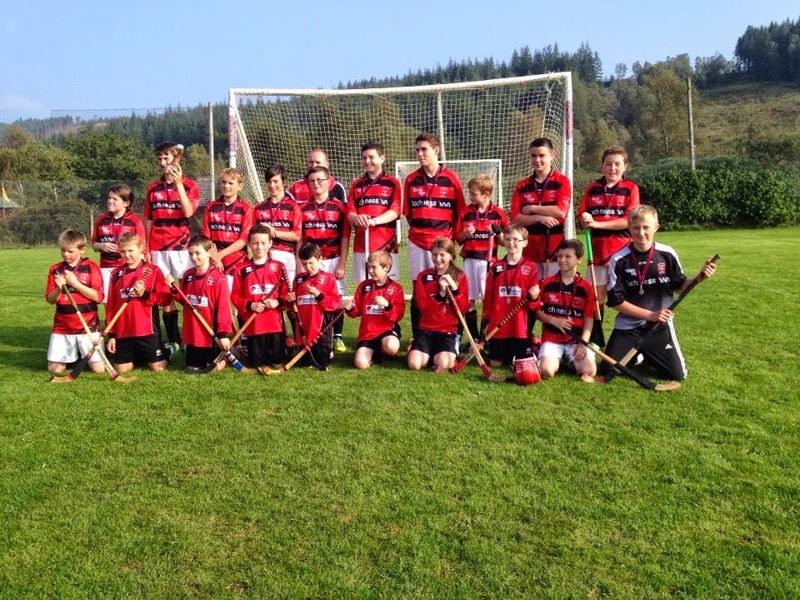 This was quickly followed up with the P5 and under competition, again over two Saturdays and encouragingly the Club was able to field two teams once again. 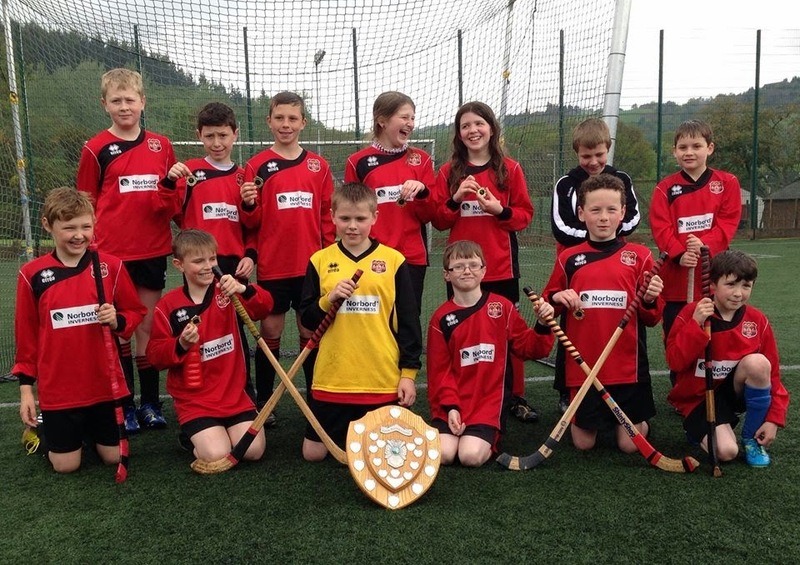 Most encouragingly, a third Glen side this time from Balnain Primary came out on top. 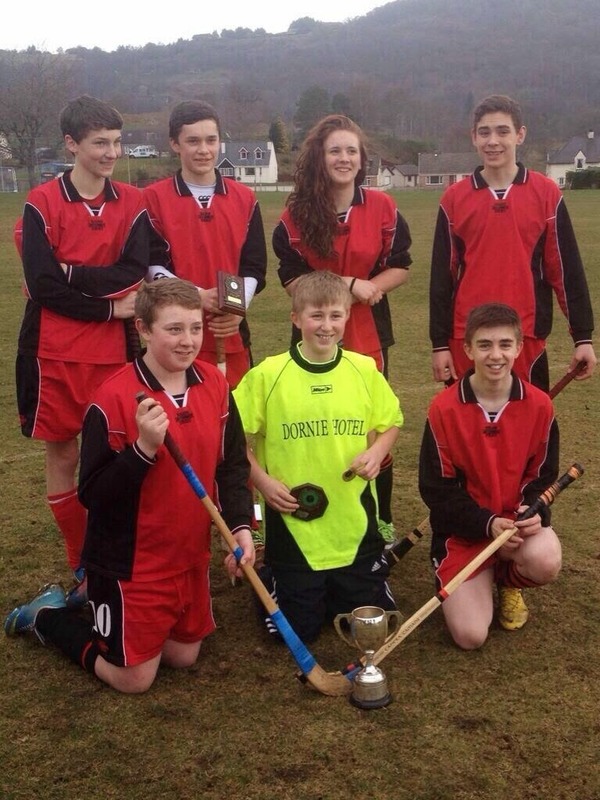 The Robertson Cup (under -14), run by Glenurquhart High School took place in April and this was won by one of the High School’s own sides – and 4 of the players were attached to the Glen . April too saw the start of the under 14 & under 17 Leagues. There were only three teams in the first section of the league that the Glen, under the management and guidance of Davie Stewart and Stuart Morrison, competed in and the matches were played on a home and away basis. Glen’s side was made up of players from nearer the start of the age group though there were one or two older players available to bolster the team. In the end Glen came second in their section losing out to a strong Fort William side but still progressing on to the Phase Two games after the summer break. 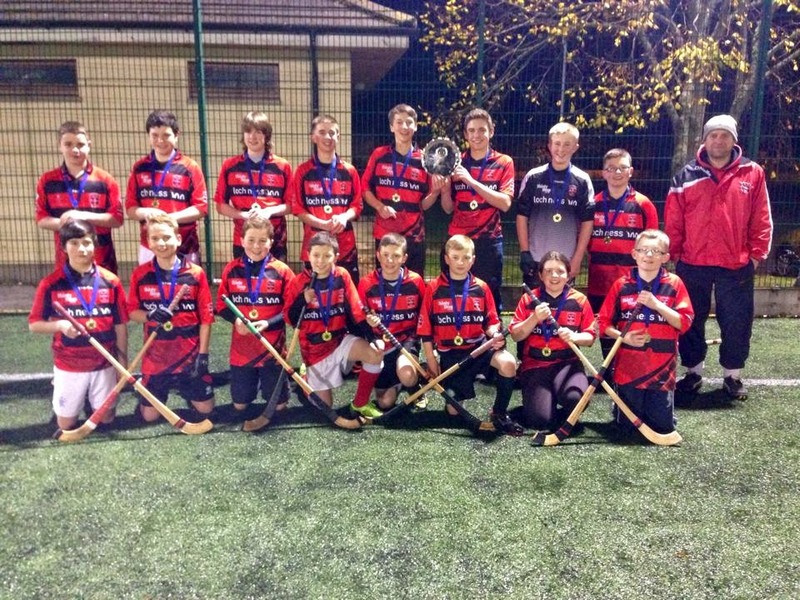 In October a win against Strathglass in the last match of the season saw the Glen pick up the trophy for this B league and the players were presented with their medals by Russell Jones the Camanachd Associations Development Officer later in the month. In the MacMaster Cup however, a first round win against Strathglass was unfortunately followed by defeat against Kingussie. The under 17s as a squad were again a little on the young side with the exception of 4/5 players at the top end of the age range. Under the management of Davie Stewart and his helpers they took part in a large League with a total of eight teams competing. The early part of the season went well but after the summer term three players were lost either to work commitments or (as in the case of one of our strongest players, Jack Hosie) through leaving the area and this stretched the Club’s resources and the team ended up 5th in the League despite some good performances. As can be seen from the Christmas Card at the top of the posting the Glen were fortunate in that they were able to kit out both under age teams in the same strips as the seniors thanks to the Loch Ness Inn, who sponsored the under-14s, and Home Farm Cottages who provided the under-17 strip. Thanks also go at this juncture to HIS and in particular incoming Club Chairman, Garry Mackintosh who in the early part of the season initiated an interesting incentive scheme in which for a period of commitment every youngster received a free water bottle and a discount on new shinty sticks. At representative level, Euan Lloyd was selected for the Scotland team that travelled to Ireland in July while Finlay Robertson was picked for the North v South under-14 match at Spean. 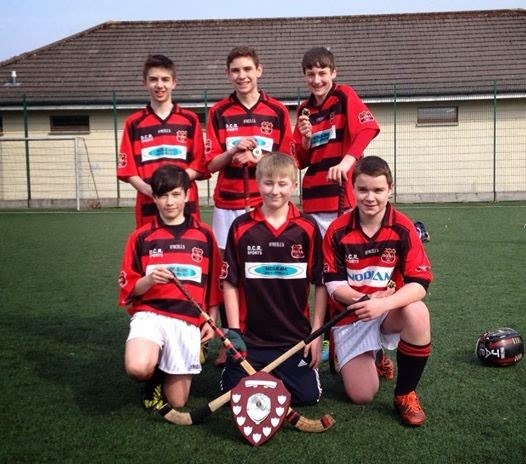 Euan Carroll and Jamie Maclennan also represented the club at the annual summer shinty camp. while Balnain also performed well coming 5th in their group. The teachers at Balnain and Coach Donjee Macleod are to be congratulated for all their efforts in that regard. Finally the young team also made an appearance at the Kingussie Tournament. 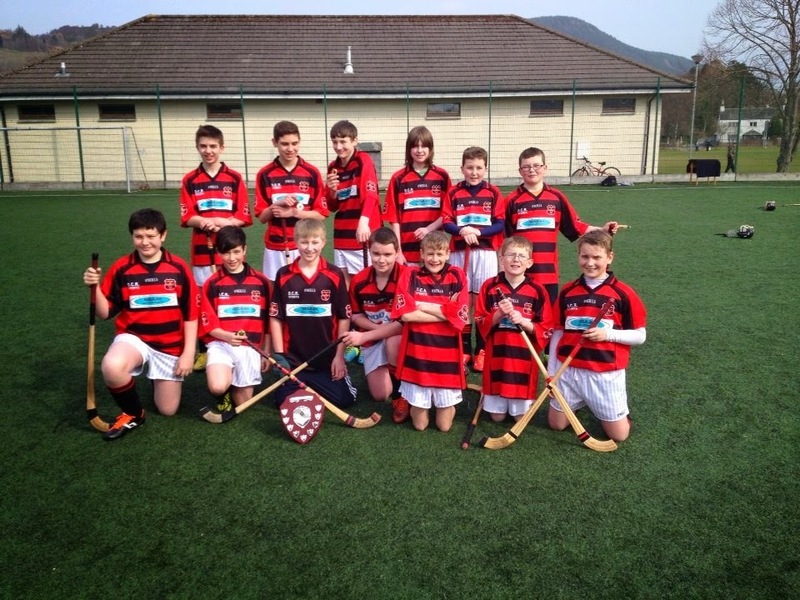 Glen were also invited to Strathglass for the George Phimister Trophy in September with a P6/7 team and an under-14 6 a side team- and in the end the Glenners won the trophy. During the summer holidays the Club ran a programme in connection with Highlife Highland with coaches Gavin Heath and Stuart Mackintosh giving freely of their time. 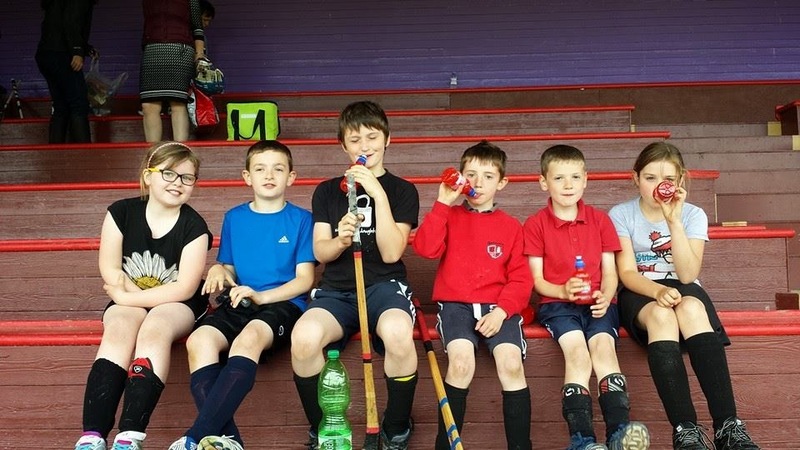 The youngsters also took part in the Schools Camanachd Primary tournaments under the guidance of coach Stuart Mackintosh. 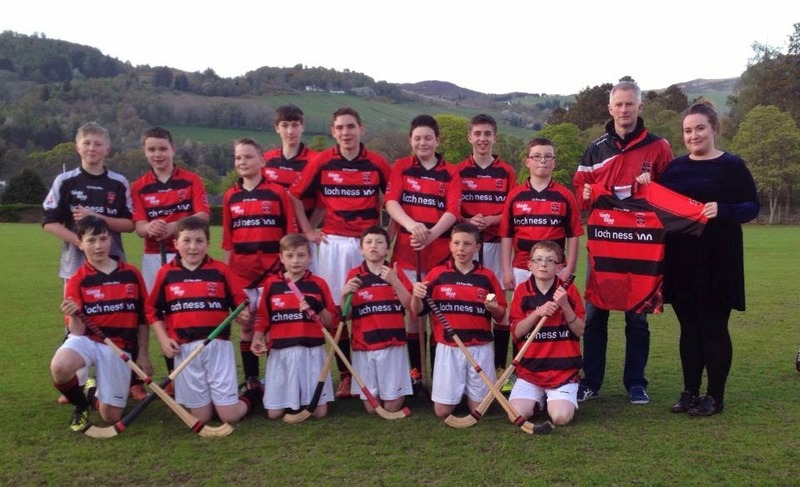 Glenurquhart Primary invited the Club youth coaches to run shinty sessions through the Spring and Summer terms and these went well and this introduced up to half a dozen newer players to the regular club nights. Teachers Louise Macdonald and Kirsteen Mullin helped to set the programme up and it was delivered by Helen Maclennan, Laura Stoddart, Laura Quinn, Russell Fraser and George Stewart. The big climax to the year came on October 6th with the inaugural youth awards ceremony which took place at the Craigmonie Centre. The idea behind this innovatory evening was to acknowledge the up and coming players at youth level and at the same time to engage all the new Mums and Dads with the Club. It was a successful evening and Sheena Lloyd’s photos- some of which are copied here- give a grand flavour of the night. Behind all this youthful activity stand the coaching squad all volunteers and all encouraged to take part in coaching courses: 4 volunteers came forward to complete the Foundation course which was run under the auspices of the Camanachd Association and already 10 volunteers have put their names down to take part in the Level 1 Course at the end of January 2015. So there we have it: a comprehensive Youth report- and thanks to Helen Maclennan for providing the info and to all the coaches, volunteers and teachers who made it happen. Enjoy the pics and enjoy your shinty one and all.